The following text is a reflection on the main factors determining the popularity of different consoles, with a particular focus on Microsoft’s hardware and marketing strategy. Virtually since the very birth of home gaming systems, an opinion seems to prevail among the players, stating that the availability of exclusive titles for the given console is the key factor determining its popularity. And truly – is there anything more exciting for the avid gamer than booting up – sprawled on their couch, with a pad in their hand – a game that will make their (Xbox/PlayStation) friends boil with envy? It was said more than once that the main reason for the commercial failure of Xbox One was the all-too-modest – and for some reason still shrinking – the number of exclusives secured by Microsoft. Today, we’ll discuss the idea of the exclusiveness as a factor influencing (determining?) the sales of particular gaming systems. We’ll also have a look at the Microsoft’s strategy of supporting Xbox One, trying to recognize its implications for the gamers. The console holy war is in full swing. Compared to the main competitors, Xbox One indeed cannot boast an impressive record in terms of exclusives. Currently, the list contains a little over 30 games – that’s around four times less than in the case of PlayStation 4 (c. 120). If we consider “console exclusives” (i.e. games available on either of the consoles and PC), the percentage difference is a bit smaller, at around 2,5 times less: 160 for Xbox, and 400 for PS4. Compare that to Nintendo Switch, which – despite being released three years after the flagships of Microsoft and Sony – already offers 60 exclusives: two times more than Xbox One, and some fifty percent less than PlayStation 4. Exclusives by platform. Colors correspond to brands. 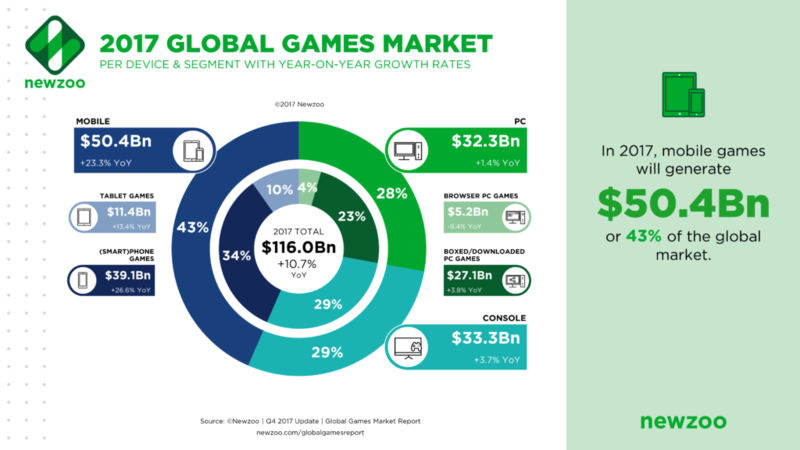 Considering the above in the context of the sales of Xbox One and PlayStation 4 (c. 30 million vs. over 76 million), and taking into account the significant expansion of the Nintendo Switch customer base, one could infer that the number of exclusive titles available for home gaming systems indeed provides a significant thrust for their sales. But is that really it? If we examine the data regarding the previous generation, we will discover some 100 exclusives available for Xbox 360 vs. more than 300 for PlayStation 3. 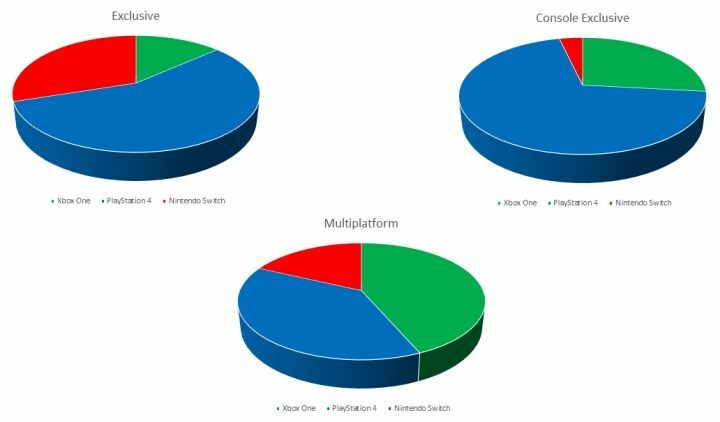 Combine that with 70 console exclusives for the former along with 120 for the latter, and it almost turns out that this is a pattern valid in the case of the last two generations; however, the fact didn’t ultimately prevent Microsoft from competing with Sony on equal terms, with each company selling around 80 million consoles worldwide. Hence – at least as far as the 7th generation is concerned – the “exclusivity principle” is busted. 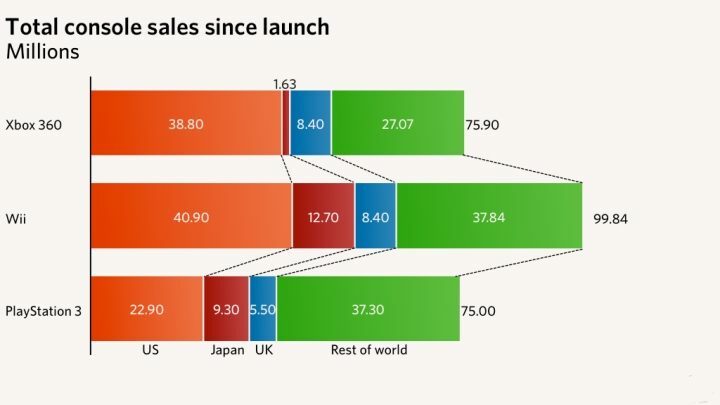 Worldwide sales of 7th-gen consoles. The natural question now is what made Xbox 360 as popular as PlayStation 3 in spite of fewer exclusives available. There’s a number of factors coming to mind: first of all, Microsoft’s console was released a year before PS3. Second, the system designed in Redmond was more powerful, offering better visual experience. Other things influencing the sales could be the marketing campaign, the superiority of Kinect over PS Move, better online service (although, contrary to PlayStation Network, Xbox Live came with a subscription fee). Or maybe it was something altogether different, considering how far behind Nintendo Wii both consoles were. So what actually is the deal with the current gen? It has by now become common knowledge that the sales of Xbox One were impacted by certain bad marketing decisions made by Microsoft, and the fact that the Americans released their console at a time when they were not entirely ready to do that – after the release of PS4, Microsoft had to quickly fill the void that would otherwise be devoured by Sony. The effect? On the day of release, Xbox One was available only in chosen parts of the world. The console didn’t arrive to the remaining markets before the following year – during the time, these markets have succumbed to what Microsoft was trying to avoid – the PlayStation hegemony. The consequence of this? An ostensibly insurmountable gap in sales between PS4 and XOne, and increasingly visible differences in the strategies for the future of both consoles. The surmise that the commercial failure of Xbox One could be attributed to the console lagging behind the competition in terms of power doesn’t seem far-fetched: while the death of Kinect was concurrent with the demise of PlayStation Move, the virtual reality has been gaining increasing popularity among PlayStation users for a while now – while a VR set compatible with Xbox is still in development. The margin was narrowed a bit with the release of Xbox One X – allegedly the most powerful console to date – which offers a few gimmicks that PS4 doesn’t, among them native 4K. 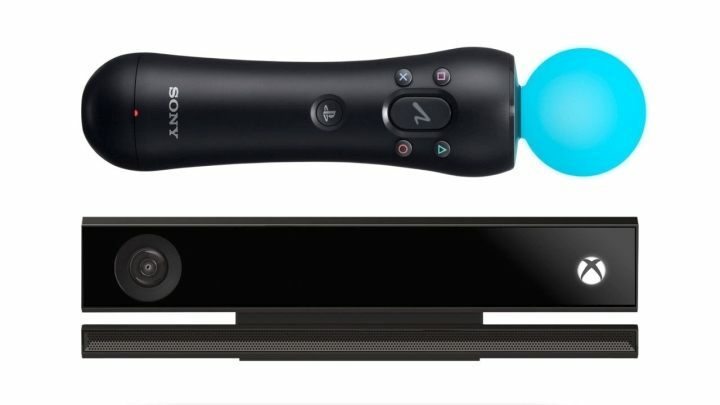 Kinect and PlayStation are inevitably becoming a thing of the past. There’s ultimately no clear-cut answer to the question of whether these gimmicks are really important for players. A good argument to prove otherwise would be the official opinion of Nintendo. The boss of the Japanese giant has recently stated that they’re completely not interested in such features, and that his company is going to emphasize original solutions. The market performance of the Switch seems to validate such approach. The newest console from Nintendo is no doubt groundbreaking in more than one way – besides, new hardware releases from Nintendo have been considered the defining points of their generations for a good couple years now. 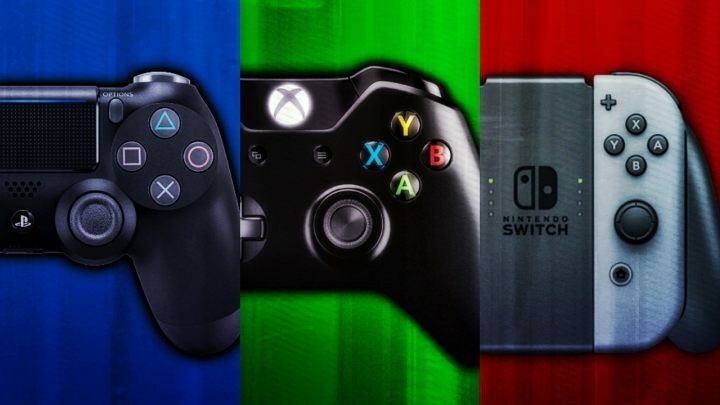 When considering the matter of game exclusiveness, we cannot ignore the peculiarities of the three companies’ business models, which are reflected in the development strategies of each of the three consoles in question. Nintendo, the smallest company, is mostly about electronic entertainment: improving their console, as well as developing and publishing games. Sony adds to that some immense manufacturing capabilities, with the company making anything from TVs, to cameras and smartphones. Things are similar on the other side of the Pacific, with Microsoft dividing its vast manpower into all kinds of different endeavors, including operating systems, applications and some proprietary hardware solutions, such as the Microsoft Surface tablets, smartphones, peripherals, etc. Another significant factor is the number of developer studios, either subsidiaries or established partners, actively cooperating with the companies. Again, when we look at Microsoft, things look rather modestly, which translates into the number of published exclusives – but it’s less than probable that the big heads in Redmond aren’t aware of that. Taking it further, we could assume that Microsoft never actually intended to challenge the competition on the ground of exclusives. Instead, they tried something closer to what Nintendo does: that is trying to convince the public to their console with original ideas. Backwards compatibility of Xbox One allows playing the Xboks 360’s classics. What was Microsoft’s idea for getting new consumers on board? One of the first such decisions was a feature ignored by Sony at the very beginning of the current generation – the backwards compatibility, thanks to which we can now indulge in some of the best games for Xbox 360 (and since recently, the original Xbox), on Xbox One, with new titles still coming. Although the idea itself met with a very enthusiastic reception at E3 2015 (that seems to be the only type of reaction at the event), there were also many opponents – mostly among the PS4 camp – saying that backwards compatibility is just a desperate attempt to save the drowning ship, and that you don’t buy a next-gen to play old games. However, the data indicates something different: among the players from France, Spain, Great Britain and Germany, 49% played older games on a next-gen console every now and then – even if these returns can be somewhat disenchanting at times… The fact remains, however, that after the feature was launched, the interest in Xbox 360 games peaked, proving that Microsoft hit a jackpot. Another rather controversial move by Microsoft was the promotion of Windows 10 as “the only right OS,” powering everything from PCs, through the Xbox family, to mobile devices. Some have found this policy to be a rather brutal attempt at monopolizing the corresponding sectors of the market. Even though Windows 10 is – contrary to an opinion popular in certain circles – a really good system, nobody likes to be coerced into doing things – we’d rather have the liberty to decide ourselves which system and when do we use. However, there’s more to it than just hijacking the whole market – take the Universal Windows Platform, for example. Microsoft wants to create a uniform architecture that would accommodate all kinds of devices powered by Windows. When criticizing the policy of the Redmond Giant, we often forget what advantages the Universal Windows Platform brings to players and programmers. The latter can easily migrate their apps into different Windows devices, which translates into a great number of new games and applications in a rather straightforward fashion. The players, on the other hand, receive uniform interface, cross-platform multiplayer, or the ability to save in the cloud and continue on a different device. 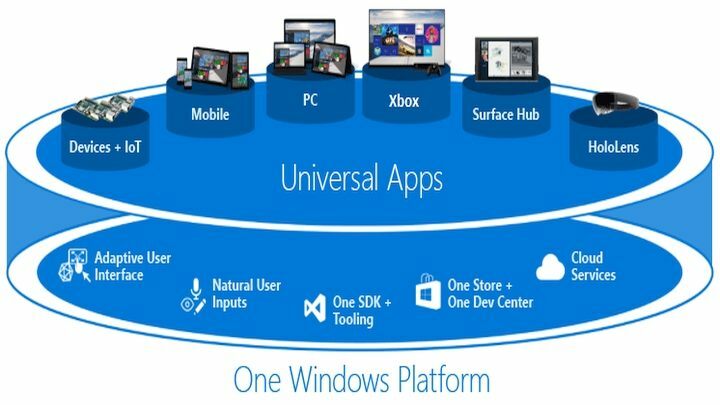 The Universal Windows Platform according to Microsoft. The inception of the Universal Platform seemingly is the single factor determining Microsoft’s approach to the future of their console in general. According to some announcements, the company would like to focus on releasing iterations of the same model more often, using the same architecture, rather than switch generations every couple of years. And that’s good news: it should facilitate the development of games, making it easier to adapt them to the specification of each device, and – most importantly – eliminate the problem of backwards compatibility altogether. My experience of switching to the next-gen was the one of much sorrow and many dilemmas – being forced to give up my entire library of games, completed over the years – so I think it’s another praiseworthy idea by Microsoft. Universal Windows Platform certainly made it easier for Microsoft to make one of the most controversial decisions regarding the future of Xbox – giving up the full console exclusivity of Microsoft’s flagship games. As the result, the recent years have brought PC remasters, or entirely new installments, in the series such as Gears of War, Halo, Forza Motorsport or Forza Horizon. The Xbox Play Anywhere program, launched in the meantime, is another perk for the players, allowing them to install games purchased in Microsoft Store on both the PC and Xbox One. 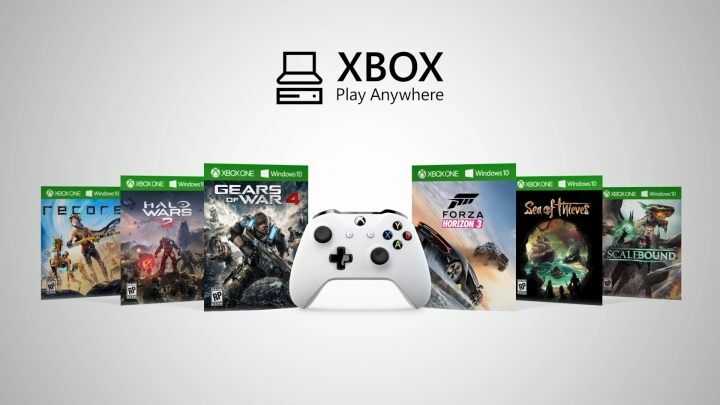 Xbox Play Anywhere is a controversial idea, but it ultimately benefits the players. That has led to a considerable backlash, though, coming from both the users of PS/Nintendo and the owners of Xbox themselves. Some people believed that Microsoft is shooting itself in the foot by bereaving Xbox of its most precious exclusives, of which – as we’ve already established – there aren’t too many in the first place, and which may be fueling the sales of the console. The boss of Xbox, Phil Spencer, kept calm and maintained conviction, stating that publishing exclusives is harmful and not fair towards the players, and that his company will be gradually walking away from such practice. Microsoft must have given the charts a glimpse, and noticed that the PC is a substantial market – and that the “PC Master Race” isn’t going to switch to consoles anytime soon. The conclusion was simple: why alienate PC gamers and participate in the long-lost race for exclusives? Having the Universal Windows Platform, you might just as well grant the owners of PCs access to the newest games, with both sides benefiting. This allows Microsoft to expand its customer base, and the PC players to have a shot at the games they wouldn’t have been able to play otherwise. 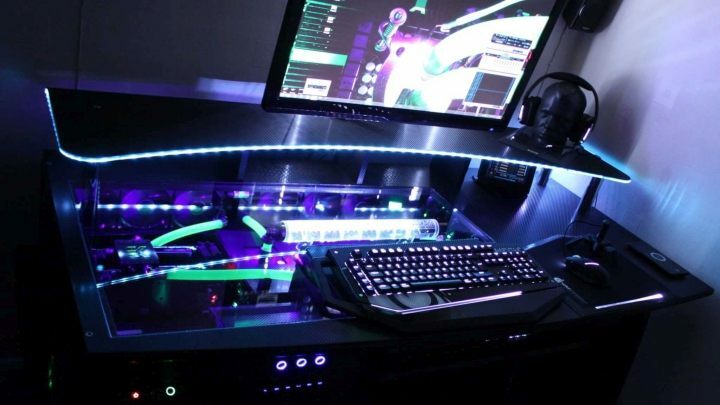 Provided you’ve got the money, there’s nothing that can beat a top-of-the-line PC gaming setup. Nintendo and Sony, being on the cutting-edge of the race of exclusives, seem to be sending a clear message to the players: “if you want to play our games – get our console.” Microsoft, on the other hand, seems to have rephrased that to: “use our system.” Hence the Americans indeed offer a degree of liberty in choosing the platform – you can either go for the PC or Xbox One X, and (at least in respect to the games you’ll be able to play) you will pretty much get the same experience. Regardless of whether that’s just a PR trick, an ingenious marketing strategy, or genuine concern for the players, the question of which approach is most beneficial to the players seems to be a rhetorical one. 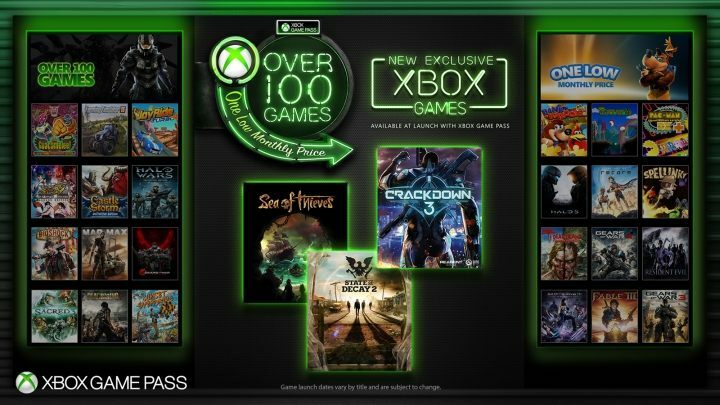 Contrary to the decision about giving up the exclusives, Microsoft raised no eyebrows announcing in mid-2017 the introduction of their subscription-based service, Xbos Game Pass, inspired by the largely successful EA Access, launched back in 2014. 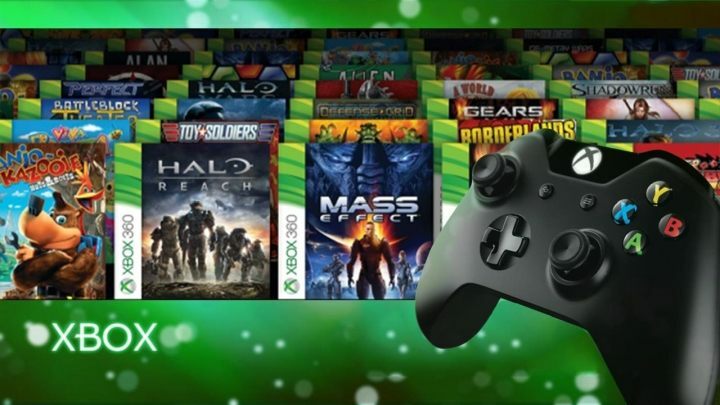 The Xbox Game Pass, utilizing the same principle as VOD services such as Netflix, turned out to be another bull’s-eye for Microsoft, and the perfect alternative for players, who – instead of buying games – were able to access them for a period of time by paying a monthly fee. Apparently, the Game Pass was for some the main reason for purchasing an Xbox at all. Microsoft recognized the potential, and has been consequently realizing the vision of creating a Netflix for gamers. Until recently, the greatest issue of the service was the fact that games were only available there a few months, or even more, after their release. Around January 2018, it was announced, however, that all new games available for Microsoft would be available on the Game Pass on the day of their release, and the recent release of Sea of Thieves confirmed that to be true. The bosses of Microsoft are apparently not intimidated by their past mistakes and seem pretty optimistic about the future of their brand. Maybe that’s just PR, but much seems to indicate that the Redmond Giant is going to drop a real bombshell at this year’s E3. The most easily predictable announcements are all sorts of AAAs coming for Xbox and PC, some new features for Xbox Live and for the console itself; maybe new devteams joining Microsoft…? You might have recently read that Microsoft was looking to purchase Electronic Arts and Valve – a rumor that ultimately proved to be false, and was promptly dismissed by all sides, but you can get the feeling that something’s brewing. The atmosphere of anticipation is constantly being reinforced – the latest contribution goes to the head of the Spanish branch of the company, who said during a recent Generación Xbox podcast: “Believe in Xbox – something’s coming and it’s really exciting!”. Is it really? We shall soon find out.